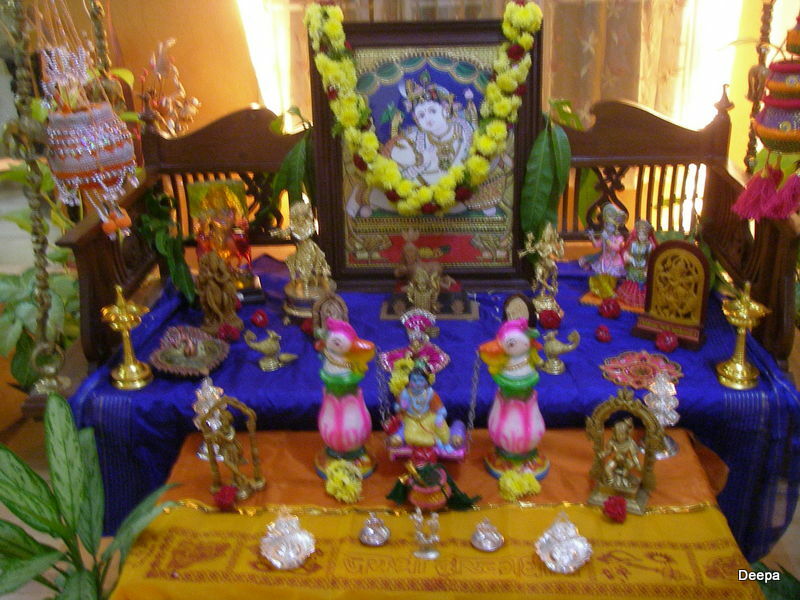 Janmashtami (Jun-ma-shta-mee) is the celebration of the birth of Lord Krishna, one of the avatars (forms) of Lord Vishnu. 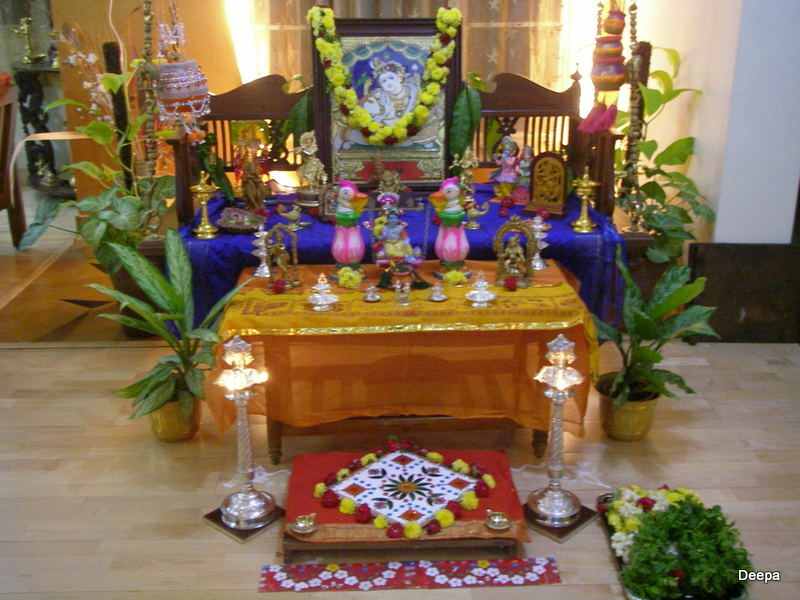 While most of the people (who follow the lunar year) in India had celebrated this festival last month, a few of us (who follow the solar year) celebrated it this last weekend. It is one of the biggest festivals for our community. 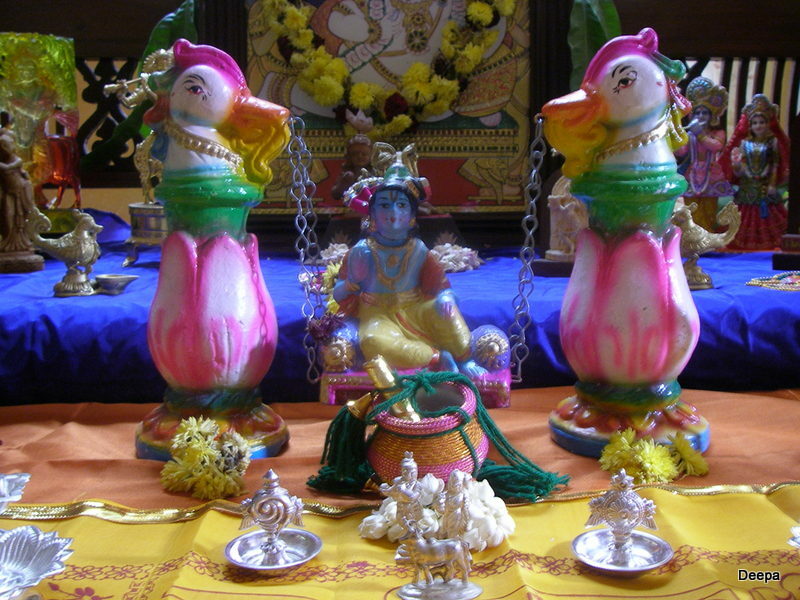 We keep idols of baby Krishna in a small swing (crib) and decorate with different themes each year, make a large variety of sweets and savouries and invite friends and family over. According to Mythology, Krishna was the eighth son of Princess Devaki and Vasudeva of the kingdom of Mathura. Devaki’s brother, Kansa, a tyrant, afraid of a prophecy that her eighth son would be responsible for his death, locked up the couple in a prison cell. He killed the first six children as soon as they were born and the seventh apparently was miscarried. In truth, the seventh child was divinely transported to the womb of another wife of Vasudeva and born as Balarama. When Devaki was carrying her eight child, Kansa reinforced security guards and bound Vasudeva in chains. On the night when Krishna was born, the security guards fell asleep, Vasudeva’s chains came miraculously undone and a divine voice directed him to carry the newborn across the river Yamuna to the home of the headman, Nanda and his wife, Yashoda of the village, Gokula. It was raining heavily and the Yamuna River was in spate. But as soon as Krishna’s feet touched the river, the waters subsided and Vasudeva was able to cross over easily. Krishna grew up in the loving care of his foster mother, Yashoda and years later came back to fulfil the prophecy.